on the huge mortality there was present in the young age group where half died in the first decade of life. A social conscience gradually emerged and Thomas Coram (1668 – 1761) was the first persistent activist in stimulating the provision of care for abandoned children. He was born in Dorset and his mother died when he was three years of age. His father remarried five years later. Thomas went to sea when he was eleven years old but when he was sixteen his father had him placed as an apprentice to a shipwright. After a period in London he went initially to Boston and moved on to Taunton in the States where he established a shipbuilding firm. 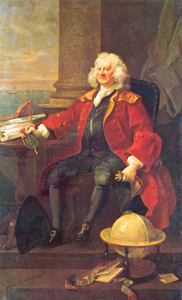 In 1724 the collapse of the South Sea Company altered Coram’s plans and having retired from his position as a sea captain he was apalled by the sights he saw in London of abandoned infants and children. Coram was a married man who had no family and these appalling sights stimulated him into campaigning to improve this situation. He sought support for an institution to care for these children and from his many miles of walking to potential sponsors and backers. Ultimately he achieved his aim and after 17 years of hard and exhausting work to received Royal assent from King George II to establish the Foundling Hospital in central London. This institution, for the care and education of these deprived individuals, opened as the Foundling Hospital in 1742 and currently remains as the Coram Foundation. Although initially called the Foundling Hospital the meaning of the word hospital has changed from the eighteenth century where it was more indicative of an educational activity rather than as a treatment centre for those with illness. 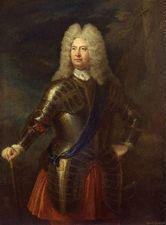 Coram was an outstanding achiever and his institution was at one time the favourite charity in London. Major support was given by outstanding individuals such as the musician Handel, the artist Hogarth, and other highly respected artists to assist in supporting this venture. With attention to the care of children was gradually emerging a Scottish family were active in this area in London. George Armstrong (1719-1789), whose brother John (1709-1779) had qualified in medicine at Edinburgh, followed his brother as a student under the famous Munro family in that city. George was a very successful student and finished the course but it is not clear that he ever qualified in Edinburgh (this entailed paying a fee). He followed John to London. George set up a practice in Hampstead as a Surgeon and Apothecary. He was not challenged by the Company of Surgeons. George later moved his dispensary to Red Lion Square in 1769 where his Clinic for the Infant Poor became established. His title was Surgeon. The College of Physicians seemed to support this enterprise as they appointed three members to the Board although Armstrong was not a member. George’s older brother John had qualified from Edinburgh and proceeded to London where he was prevented from practicing medicine for 30 years as invitation to sit for membership of the College of Physicians was rarely recorded to Edinburgh graduates – such was the intensity of feeling and of rivalry between London and Edinburgh at that time. John made sufficient income as a writer and poet that he managed to survive. support necessary for this development. George did move from Hampstead to Red Lion Square in 1769 where he held a Dispensary for the Poor under the title of Surgeon. The development of children’s dispensaries was delayed for many decades and George’s desire to see the development of a children’s hospital in London was delayed until 1852 when Dr Best with the able assistance of Dr Bence-Jones achieved the opening of Great Ormond Street hospital. Although not a Fellow of the College of Physicians this did not seem to cause the anticipated upset as the College appointed three senior Fellows to the Management Committee. In contrast John struggled for 30 years to get recognition by the College but at these times Scotsmen were often considered “enemies”. The London Bill of Christenings and Burials for Dec 1767 – Dec 1768 showed 16,042 baptisms and 8,229 deaths under two years indicating the massive early mortality at that time. During the period to December 1781 nearly 35,000 attended the clinic and Armstrong kept good and clear notes which have been reported to be the substance of Michael Underwood’s book first published in 1783. Armstrong was a good doctor but a poor financier and he failed to leave a continuing clinic or to achieve his aim of developing a hospital for children. The failure of George Armstrong’s dispensary resulted in set back to this development of dispensaries for children until Dr Davis established one in 1816 (see subsequent section). Another notable individual, Thomas Cadogan (1711-1797), who became the doctor to the Foundling Hospital and a Governor of the Hospital whose profile appears on the crest of the British Society of the History of Paediatrics and Child Health. He appears to have been born in Cowbridge, near Cardiff, and certainly he practised in Bristol where his election to be a physician in the Bristol Hospital was an interesting demonstration of astute medical politics in practice even at that time. It reveals how manipulation to achieve a desired end is not new to medical politics. Initially Cadogan gave advice to the Board of Govenors of the Foundling Hospital and this subsequently published extensively. Other publications included an “Essay in the nursing management of children from birth to three years of age” which was published when his daughter was one year of age. Cadogan had resigned from Bristol in 1752 and moved to London. An interesting coincidence is that after Cadogan had moved to London he must have had knowledge of the Hunters who were firmly placed in the study of anatomy in Britain. William became more interested in obstetrics as time progressed and he and Cadogan gave and published somewhat contrary advice in infant management. They did not seem to meet but Cadogan did meet with John as they were both sent as military doctors to Portugal. He found John “an awkward colleague, brusque, rude and quarrelsome”. They only had a short time there as Cadogan was ill and was boarded home. William Hunter (1718-1783) from East Kilbride went to Glasgow University with the intention of entering the Church but subsequently changed to a medical career following a time with Dr Cullen in Hamilton. In 1741 he moved to London – took up residence with Mr (later Dr) Smelllie – at that time an apothecary in Pall Mall but Smellie became a famous obstetrician with a hospital named after him in Lanark. Hunter set up a school on anatomy which became very popular. His interests moved more to his private practice as a physician rather than a surgeon and he became a renowned in obstetrics. Queen Charlotte demanded his attention and as she had 15 children it expanded his practice considerably. Apart from his medical interests he was an assiduous collector and a careful man with his money. He ultimately gave his large collection to the University of Glasgow with a capital sum to the University for its maintenance. John Hunter (1727-1793) might well be described as uneducated when he was in his teens as he regularly truanted from school and preferred studying nature and its wonders in the local countryside rather than orthodox lessons. He rode to London when he was 20years to join William who needed assistance in his anatomy school and John settled into this. He subsequently had training at St George’s Hospital and became an extraordinary surgeon with drive and a stimulus to broaden teaching. This was obstructed by his colleagues on the staff at St George’s. John spent all his income on material from all parts of the world for his museum which after his death was bought by the Government and gifted to the College of Surgeons where it continues as the Hunterian Museum in London. Emerging from his anatomical studies he became an outstanding surgeon but one who had difficulty in his attempts to further advance the teaching of medical students but was obstructed by his St Georges colleagues. The other major change affecting the childhood population in the 18th century was the development of variolation during the century and then the widely publicised vaccination against smallpox introduced by Dr Edward Jenner at the end of the century. This stimulated the setting up of vaccination clinics such as the one established by the Faculty of Physicians and Surgeons in Glasgow from 1801 which lasted most of the 19th century. The mortality from smallpox gradually fell.